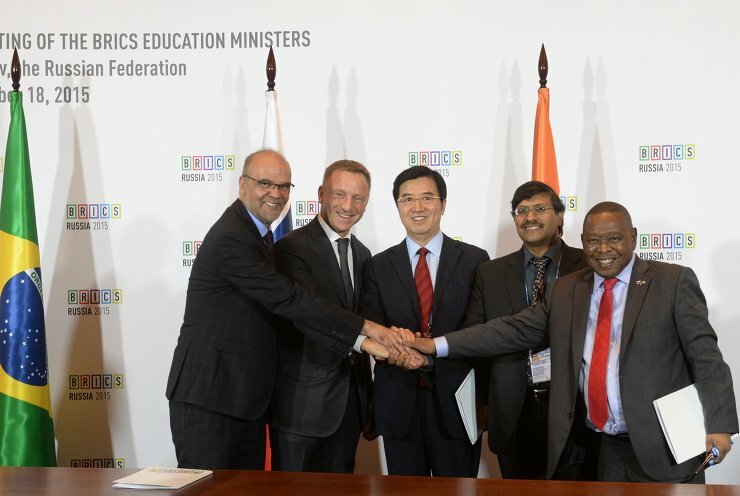 Luiz Claudio Costa, Vice-Minister of Education of the Federative Republic of Brazil, Dmitry Livanov, Minister of Education and Science of the Russian Federation, Subramaniam Reddi, Additional Secretary of the Ministry of Human Resource and Development of the Republic of India, Du Yubo, Vice-Minister of Education of the Peoples' Republic of China, and Bonginkosi Emmanuel Nzimande, Minister of Higher Education and Training of the Republic of South Africa, (left to right) give interviews at the Meeting of the BRICS Education Ministers. 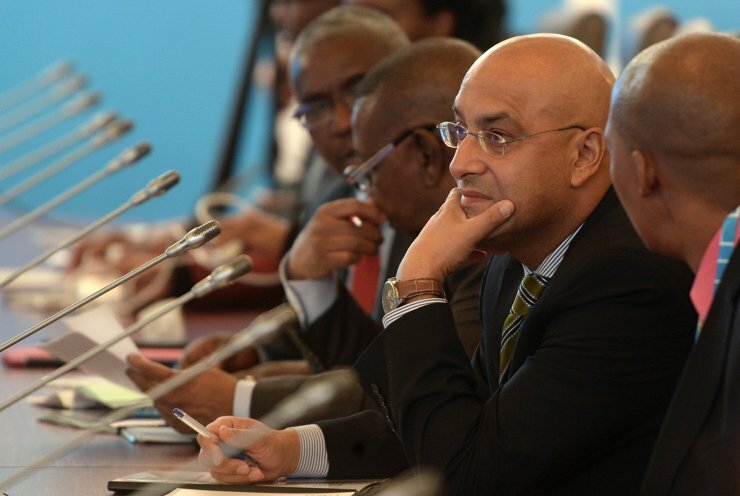 Participants in the Meeting of the BRICS Education Ministers. 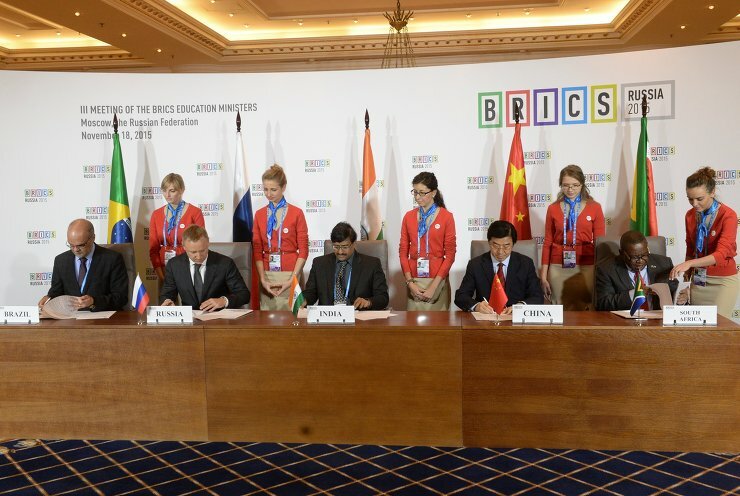 Luiz Claudio Costa, Vice-Minister of Education of the Federative Republic of Brazil, Dmitry Livanov, Minister of Education and Science of the Russian Federation, Subramaniam Reddi, Additional Secretary of the Ministry of Human Resource and Development of the Republic of India, Du Yubo, Vice-Minister of Education of the Peoples’ Republic of China, and Bonginkosi Emmanuel Nzimande, Minister of Higher Education and Training of the Republic of South Africa, (left to right) at the Meeting of the BRICS Education Ministers. 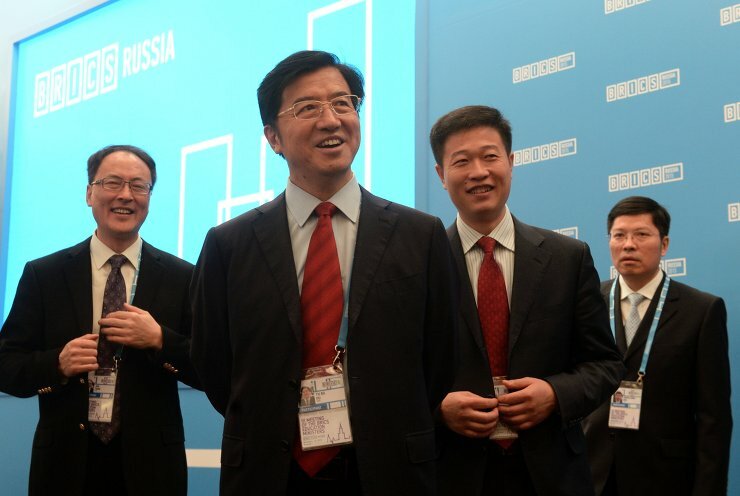 Luiz Claudio Costa, Vice-Minister of Education of the Federative Republic of Brazil, Dmitry Livanov, Minister of Education and Science of the Russian Federation, Du Yubo, Vice-Minister of Education of the Peoples’ Republic of China, Subramaniam Reddi, Additional Secretary of the Ministry of Human Resource and Development of the Republic of India, and Bonginkosi Emmanuel Nzimande, Minister of Higher Education and Training of the Republic of South Africa, (left to right) at the Meeting of the BRICS Education Ministers. 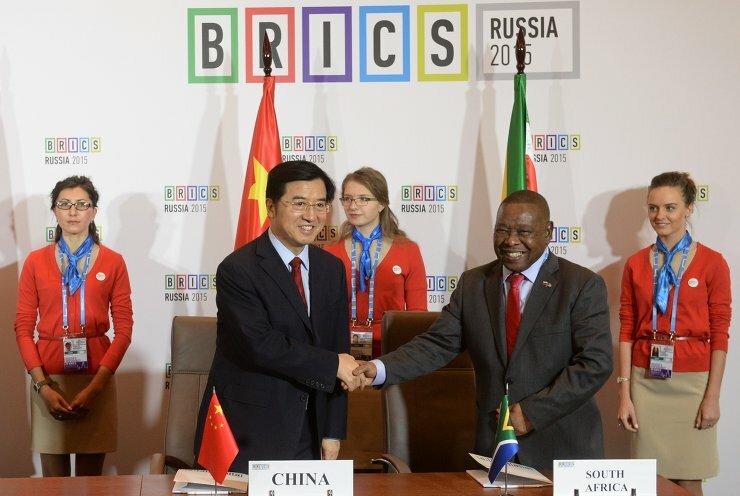 Du Yubo, Vice-Minister of Education of the Peoples’ Republic of China, and Bonginkosi Emmanuel Nzimande, Minister of Higher Education and Training of the Republic of South Africa, right, at the Meeting of the BRICS Education Ministers. 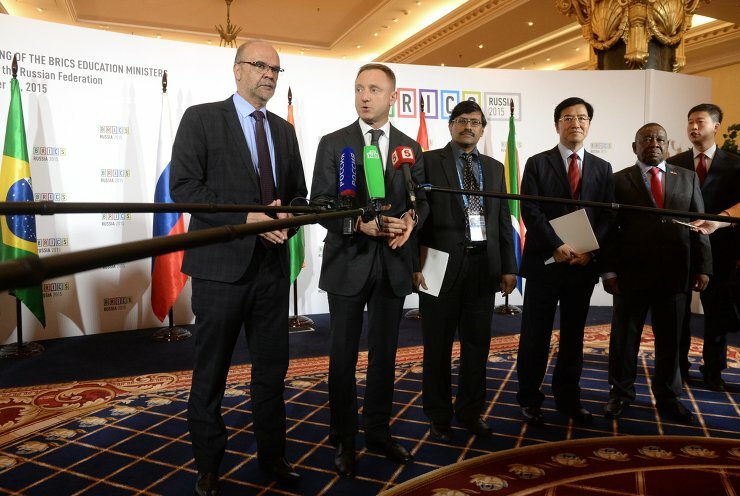 Luiz Claudio Costa, Vice-Minister of Education of the Federative Republic of Brazil, Dmitry Livanov, Minister of Education and Science of the Russian Federation, Subramaniam Reddi, Additional Secretary of the Ministry of Human Resource and Development of the Republic of India, (left to right) at the Meeting of the BRICS Education Ministers. 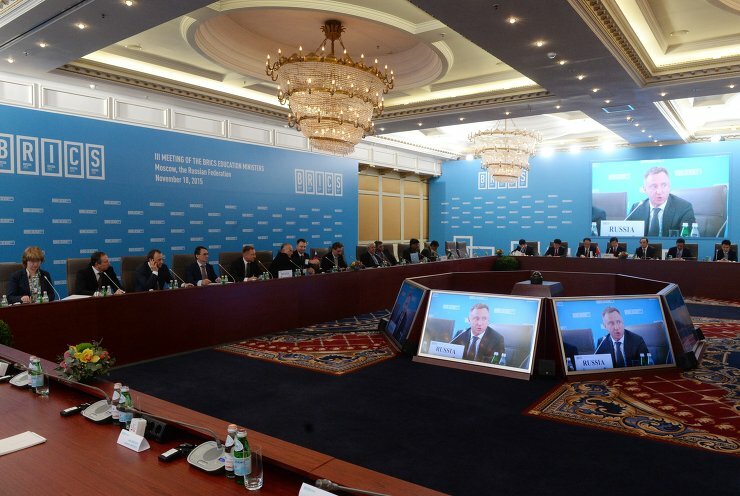 Luiz Claudio Costa, Vice-Minister of Education of the Federative Republic of Brazil, Dmitry Livanov, Minister of Education and Science of the Russian Federation, Subramaniam Reddi, Additional Secretary of the Ministry of Human Resource and Development of the Republic of India, Du Yubo, Vice-Minister of Education of the Peoples’ Republic of China, and Bonginkosi Emmanuel Nzimande, Minister of Higher Education and Training of the Republic of South Africa, (front, left to right) sign a final protocol at the Meeting of the BRICS Education Ministers. 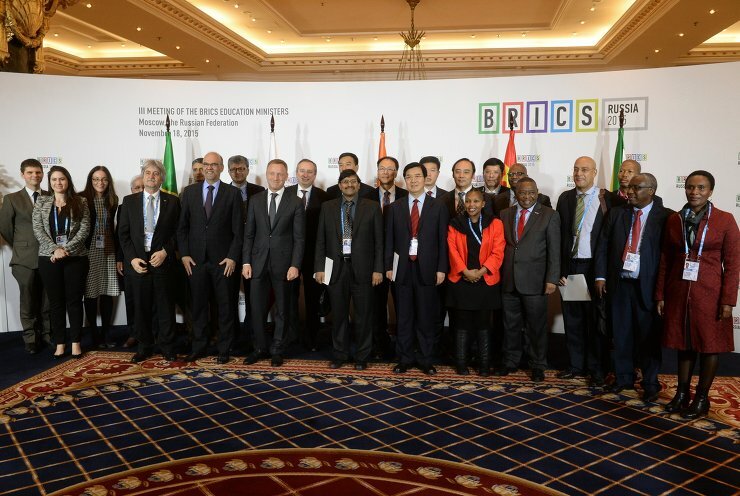 Meeting of the BRICS Education Ministers. 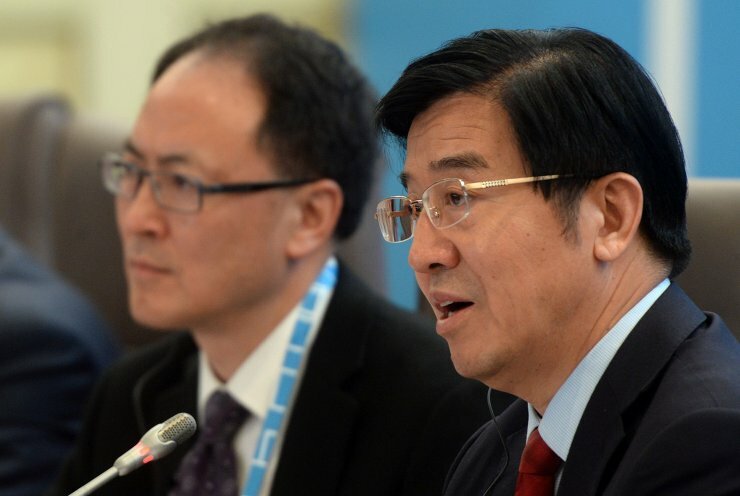 Du Yubo, Vice-Minister of Education of the Peoples` Republic of China, at the Meeting of the BRICS Education Ministers. 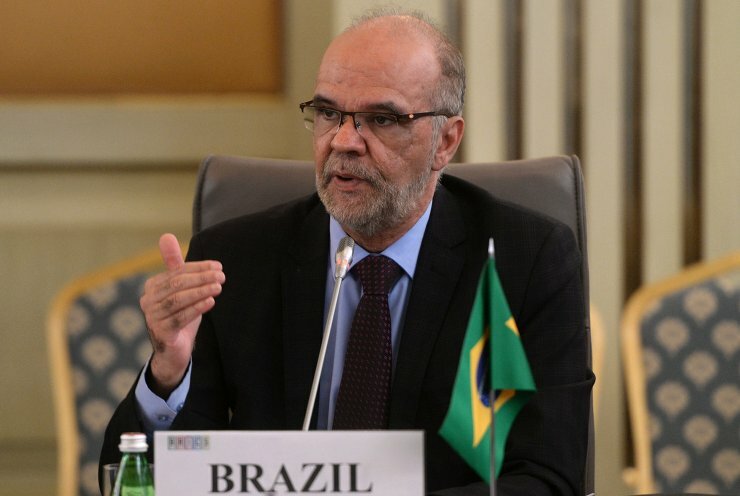 Luiz Claudio Costa, Vice-Minister of Education of the Federative Republic of Brazil, at the Meeting of the BRICS Education Ministers. 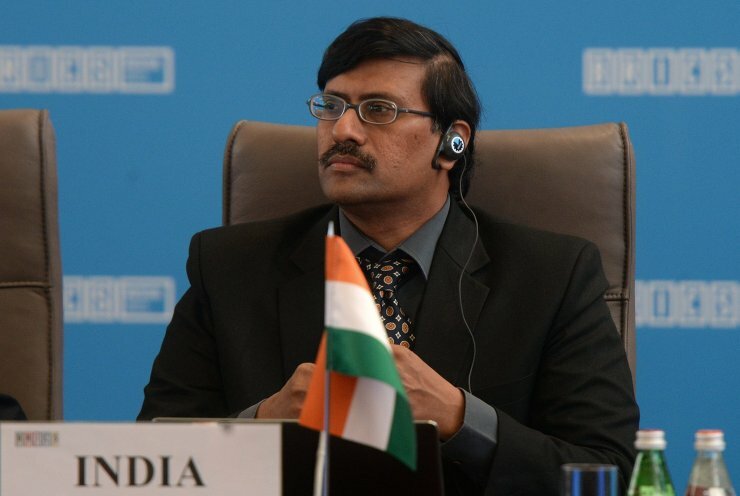 Subramaniam Reddi, Additional Secretary of the Ministry of Human Resource and Development of the Republic of India, at the Meeting of the BRICS Education Ministers. 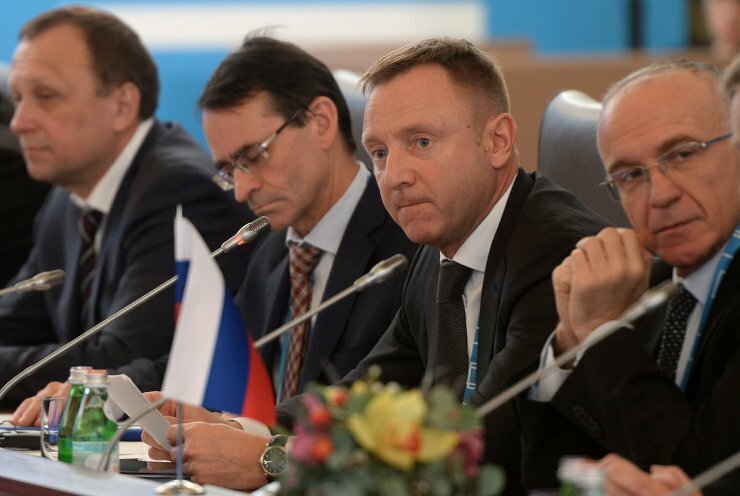 Russian Minister of Education and Science Dmitry Livanov, second right, at a Meeting of the BRICS Education Ministers. 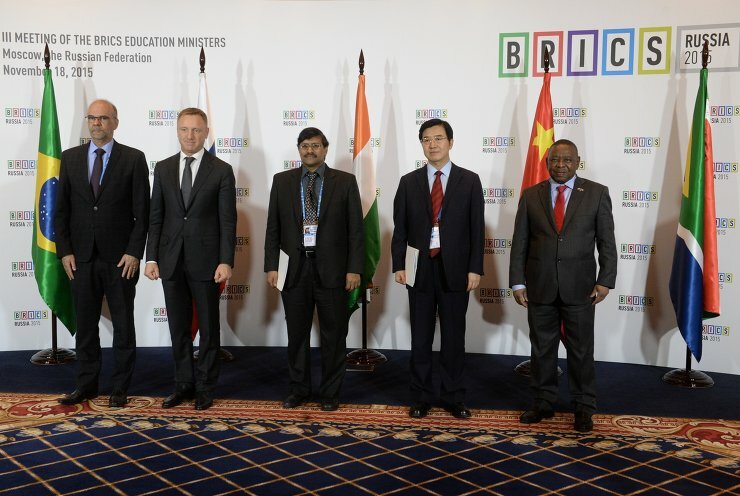 Second left: Du Yubo, Vice-Minister of Education of the Peoples` Republic of China, at the Meeting of the BRICS Education Ministers.